I did a list of things to do when I lived in Cheshire but haven't done one since living in the West Midlands so here it is. I will transfer this post onto the 'what's going on' tab and update it as I hear about upcoming things. It isn't comprehensive but covers the places I gravitate towards so family friendly and or a lil bit crafty. These are one off events but I'll also compile a list of the regular activities taking place at a later date. Saturday 23 May: Vintage & retro fair - Abbey Road 10-4. Saturday 23 May: Croome Estate- bugs trail. Sunday 24 May: Malvern munch food walk; 7 mile walk with local food and drink served along the way with live music at stops along the walk. £20 per adult. Monday 25 May: Malvern food festival- Great Malvern church street and Littleton wells. 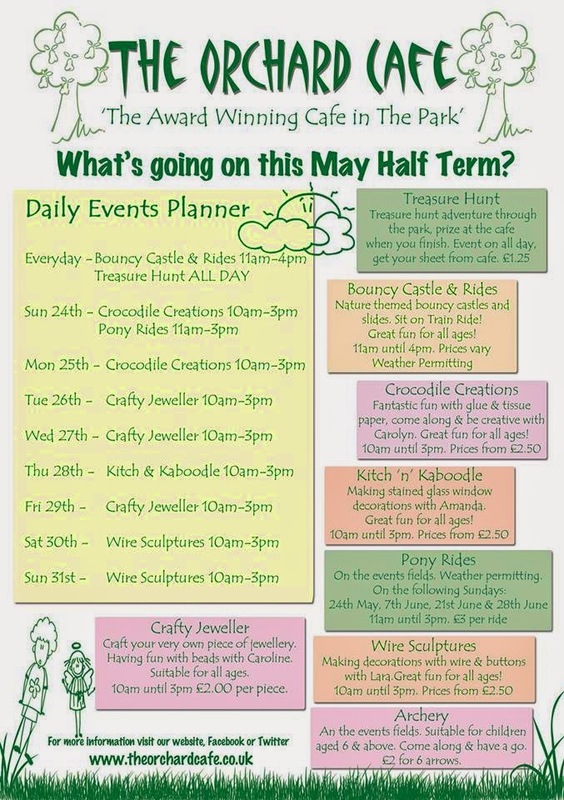 Tuesday 26- Friday 29 May: Georgian themed craft activities £2 per child (additional fee to entry). Wednesday 27 May: Wild about Mammals, Lower Smite Farm. 2-4 pm, £3.50 per child ( run through Worcestershire wildlife trust). Thursday 28 May: Elgar Birthplace Museum-Worcestershire wildlife trust are hosting a creature hunt, games and activities. Thursday 28 May: 11-1pm Messy Church at Somers Park. Friday 29-Sunday 31 May: Jinney ring blues and beer festival. Sunday 31 May: Family fun day at the Cube. Monday 1June: Medieval herbs display at Brockhampton Estate 11-4pm. Saturday 6 June: Madresfield court fete. £5 entry for adults, children are free. Saturday 6 June: Book fair at Christ Church Avenue Rd, Malvern. 10-2pm. This was originally a longer post but I have removed the events after this point but they are still on the 'Upcoming crafty and family event in Worcestershire' page. I have attached links below to some of my favourite places to go to that have regular events on all the time.